Why Does Milk Need to be Pasteurized? Milk is a vehicle for many nutrients. It is a healthy source of fat, calcium, protein, amino acids, vitamins, and minerals. 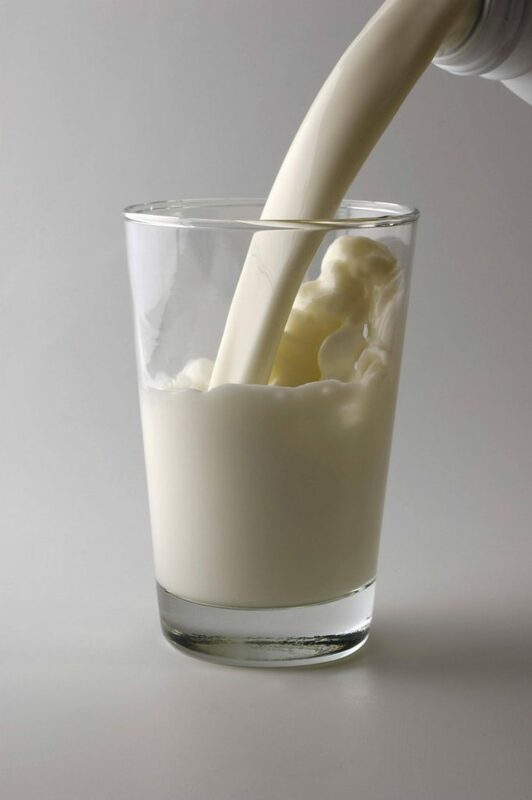 What role does pasteurization play in the production of milk? 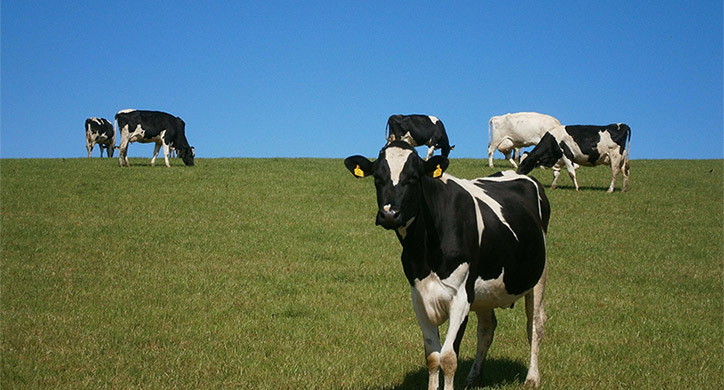 If you grew up on a dairy farm you probably drank fresh, raw milk every day. 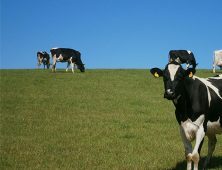 But, these days, most consumers don’t live on or near a diary farm, so enjoying fresh from-the-udder milk isn’t an option. Raw milk is only safe when it is consumed immediately after milking a cow as bacteria that can make you sick proliferates very quickly. 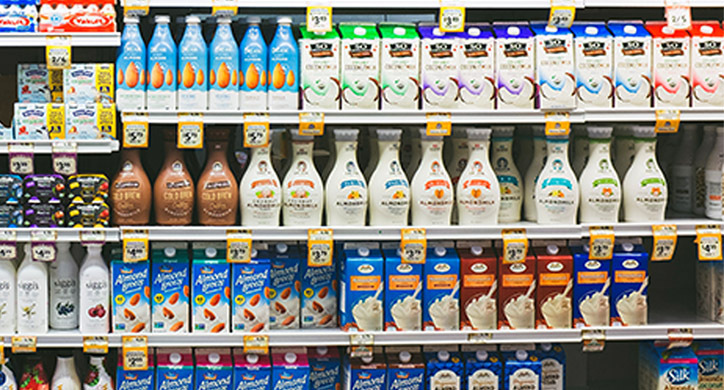 Since milk needs to be packaged and delivered to a grocery store or corner market, it may be several days before it hits your glass. Pasteurization keeps milk safe and allows it to have a longer shelf life when it reaches your refrigerator. To put it simply, pasteurization is the process of heating a substance in order to kill foodborne pathogens, such as listeria, somatic cells, and salmonella. Dairy producers pasteurize milk in order to make it safe for extended storage and human consumption. If you drink raw milk straight from a cow, without treating it, you put yourself at great risk for pathogenic bacteria. But, there are those who argue that pasteurization makes milk harder to digest. 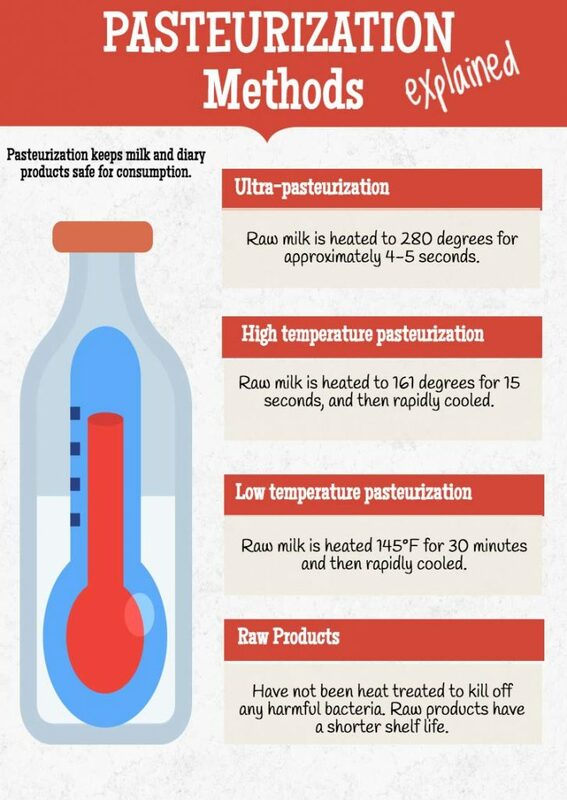 Let’s look at the science behind pasteurization. Ultra-pasteurization, or flash pasteurization, heats up the milk to 280 degrees for 4-5 seconds. Because the temperature of the milk exceeds 150 degrees, it is possible for the proteins to “denature,” or change from their original structure. Essentially, the heat can cause the protein compounds to breakdown. It is also argued that this process kills off some of the good bacteria that is present in the raw milk. High-temperature pasteurization is the most commonly used pasteurization technique. This process heats up milk to 161 degrees for 15 seconds. Like flash pasteurization, some of the micro-life present in raw milk will be killed off through HT pasteurization. But, this is a necessary evil in order to protect yourself. And despite the heat treatment, milk remains a nutrient dense food! Additionally, the proteins in high temperature treated milk may experience some denaturation—but more on that in a bit! 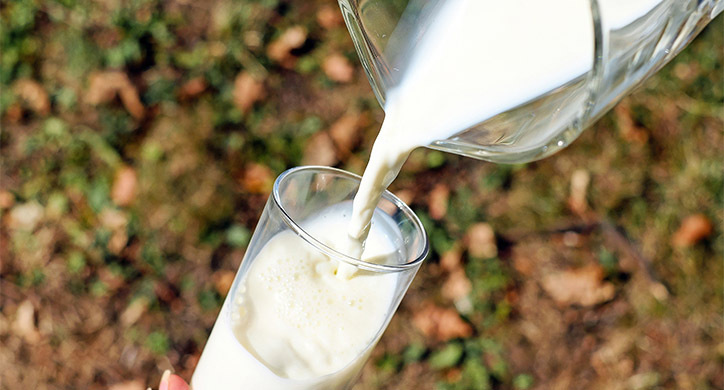 Low-temperature pasteurization heats raw milk to 145 degrees for 30 minutes before chilling it rapidly. Like HT and ultra pasteurization, this process can also kill off some of the probiotics present in raw milk. But, it is argued that low temp pasteurization helps to maintain the proteins that are present. And while it is true that this process does not “denature” the proteins, it can cause protein aggregation, which can actually make the proteins harder to digest. This means that rather than causing the protein compounds to break down, they actually accumulate and clump together. Aggregated protein is actually harder to digest than denatured proteins and may cause challenges for immune compromised or extremely allergic individuals. Raw products have not been heat-treated and are at much greater risk of carrying harmful bacteria. They also have a shorter shelf life. 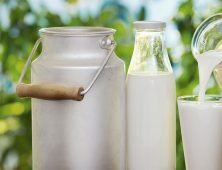 In summary, while heat treating raw milk will cause some of the good bacteria that is also present to be killed off, it is necessary to protect against drinking harmful bacteria. Additionally, there are some companies that re-introduce “active cultures” into their dairy products to supplement the probiotics that were affected during heat processing. Anti-pasteurization folks believe that the denatured proteins in pasteurized milk will inevitably cause gut inflammation because your body cannot properly break down these protein compounds. Labels will tell you how milk has been treated. So, while it is true that heating raw milk can cause denaturation of protein, this has only proven to potentially affect immunocompromised patients. Additionally, how your body digests denatured protein depends entirely on the amount of heat exposure the proteins have had. Typical high-temperature pasteurization (161 degrees Fahrenheit for 15 seconds) generates very little denatured protein. One company that has taken proactive steps to protect your digestive system from the altered lactose content is Fairlife, owned by Coca-Cola. 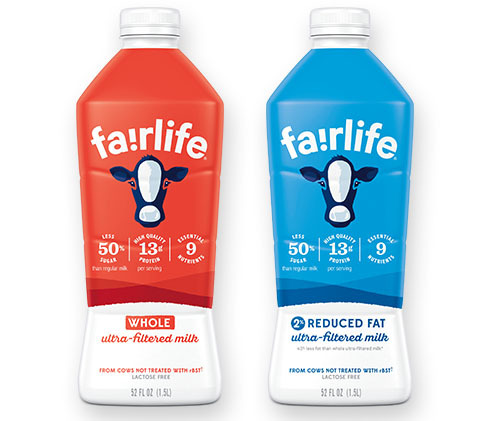 Fairlife milk is flash pasteurized (which prolongs shelf life) and then ultra-filtered to concentrate the protein content, sterilize the milk, and remove the lactose content from the final product. Lactose is a sugar that can disrupt your digestive system, especially if it has been heat-treated. Their cold filtration system removes any impurities in their milk and aids in the digestion of this product. Like milk, cheese is another important food when it comes to pasteurization. 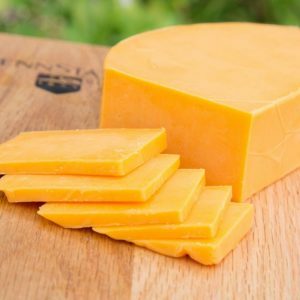 The U.S. Food and Drug Administration mandates that any cheese produced from raw milk must be held or aged for 60 days and kept consistently at 35-degrees Fahrenheit before it can be sold commercially. This helps ensure that foodborne pathogens are no longer present in the food, as they cannot survive in an environment after 60 days. Additionally, treating the cheese with salt and curing the rind can also protect from potentially dangerous bacteria. Like milk, pasteurized cheese can be treated at either a high temperature (174 degrees for roughly 20 seconds) or low temperature (149 degrees for 30-40 seconds). 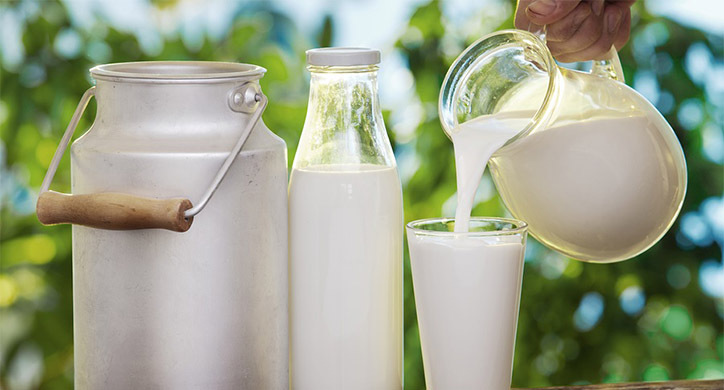 When you think of pasteurization, you undoubtedly think of milk! Dairy products get all the heat (no pun intended) for being pasteurized. You might be surprised to learn, however, that there are many other foods that are heat treated as well. Almonds, sauerkraut, and some kinds of vinegar are pasteurized in order to sanitize the food and kill harmful bacteria. The pasteurization process keeps consumers safe! Do not fear pasteurization! Despite the elimination of some good bacteria, milk remains a safe nutrient dense food. Pasteurization protects you from foodborne illnesses. 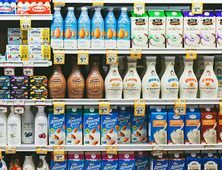 Milk and “Milk” Alternatives: Which one is right for you?